I've been a skinny jeans fan for longer than I can remember, but when I want to change it up I love a wide leg style. 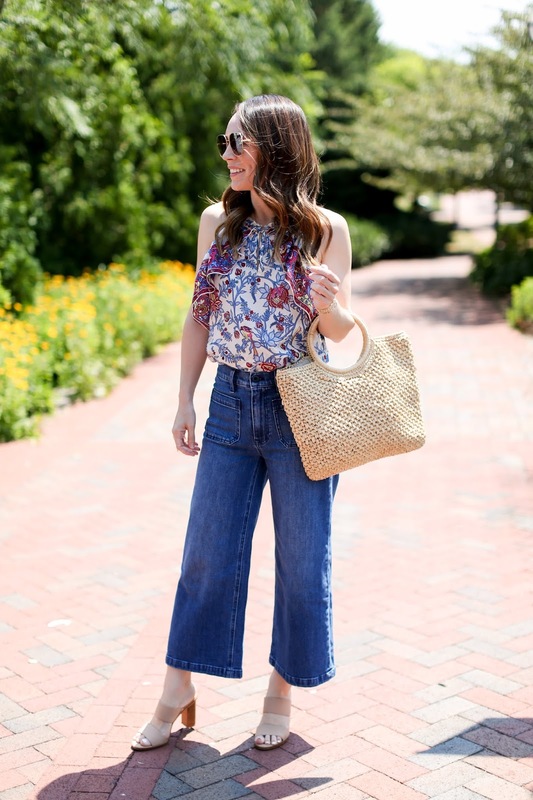 Not flares or bell bottoms, but a cropped wide leg, high waisted fit. And typically I find that either J.Crew, Madewell or Ann Taylor fit me the best when it comes to a wide leg look. Because I have a long torso and short (muscular) legs, these look much better on me than a boot cut or most boyfriend jeans. Here are some other looks that I have worn on the blog with cropped wide leg jeans and pants (remember this look, this look (I was actually newly pregnant in this outfit LOL), and this look.